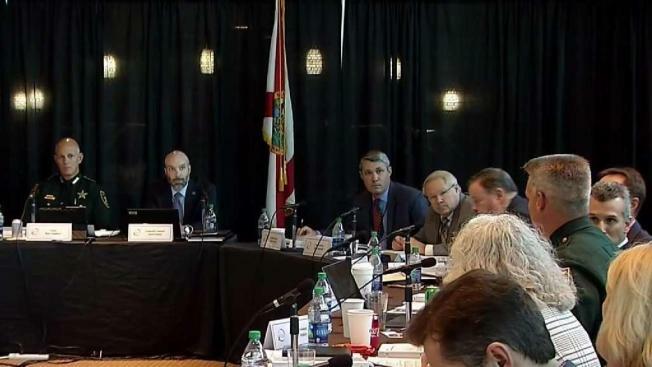 NBC 6's Laura Rodriguez explains what's ahead and the important findings of this week's closely watched safety commission meetings set up to find out what went wrong during the shooting at Marjory Stoneman Douglas. Two students told investigators they reported the suspect in the Florida high school shooting to an administrator for making threats but felt they were not taken seriously. Detective Chris Lyons told the Marjory Stoneman Douglas High School commission Tuesday about threats, animal cruelty and odd behavior allegedly committed by suspect Nikolas Cruz in the years before the February shooting that left 17 dead. Lyons said most witnesses never reported Cruz to the school or law enforcement before the shooting, but when some did, nothing happened. He said the two students conflicted about whether they spoke to the principal or vice principal in late 2016, but one said he told the administrator Cruz had threatened to shoot up the school. They said the administrator dismissed them. Lyons did not name the students. The 911 calls on the day of the Parkland shooting are becoming a crucial part of the investigation. NBC 6's Marissa Bagg has more on the MSD safety commission meeting. Both administrators deny the meeting happened. 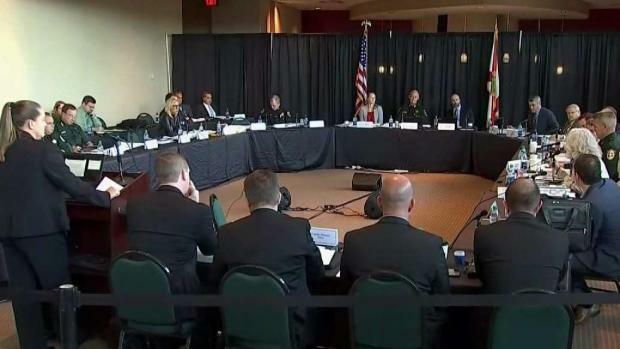 The commission also listened to 911 calls from the day of the shooting to better understand what led to delays and confusion during the response to the gunman. "Seconds matter," said Sheriff Bob Gualtieri, the chairman of the MSD safety commission. "Cruz shot or killed 24 people in 107 seconds, the first 28 seconds of which the first 911 caller was talking with a Coral Springs call taker who could do nothing more than transfer the call to the (Broward County Sheriff's Office)." They revealed the 911 calls made to the Coral Springs Department then had to be transferred to the Broward County Sheriff's Office, which is the agency tasked with responding to the school. "Listening to it, all I can tell you is in every instance there was failure, every instance," said Fred Guttenberg, whose 14-year-old daughter Jaime died in February. Guttenberg's parents Tuesday filed a lawsuit against the FBI accusing the agency of failing to follow through on information is possessed against Cruz. The commission will meet again Wednesday and Thursday. Officer Scot Peterson, superintendent Robert Runcie and Broward County Sheriff Scott Israel are scheduled to speak. 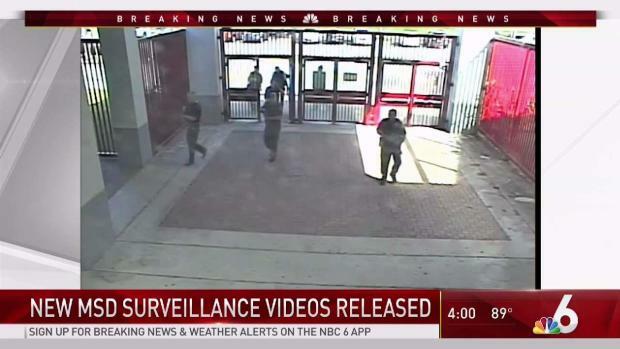 The Broward Sheriff's Office on Wednesday released new exterior surveillance videos showing law enforcement's response to the Marjory Stoneman Douglas High School shooting.